Welcome letter from the President of the Congress. Prof. Dr Manuel Bernal. Barcelona will have the pleasure to host the 1st Congress of the Confederation of the European ORL-HNS. The Confederation was established during the recent Mannheim Academy meeting in June with the main goal of combining the European forces of EUFOS, representing the National societies, and the European Academy (EAORL-HNS), representing the European subspecialty societies in ENT-HNS. Both bodies will continue to exist organizing a scientific Confederation event every two years, organized either by EUFOS (2011) or by the Academy (2013) in collaboration with each other and the UEMS ENT section. The Barcelona congress will follow the very successful Vienna meeting with a similar structure. We have started to work very hard on the Congress, with the aim of making it a “difficult to forget” one, both from the scientific and social points of view. Young researchers (<40 years) are encouraged to submit manuscripts to one of the three official journals (Rhinology, Eur.Arch ORL, Acta ORL) until October 1, 2010 mentioning that they wish to qualify for a "keynote lecture". 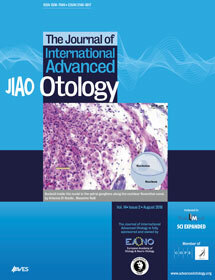 The reviewers and the editorial board of the journals will notify the scientific committee of the selected manuscripts. Registration fees for accompanying persons have been kept low including onsite registration.There is a special fee for colleagues < 35 years of age as well as another for colleagues coming from developing countries, as stated in the WHO Hinari list. Nowadays, Barcelona is a modern cosmopolitan city, with a rich cultural and historical tradition. Barcelona’s unique and highly diversified artistic assets are universally appreciated. It is a city of great architectural interest: the Gothic and the Modernist Quarters, Gaudi, and the new urban development. This, together with the fair weather, and the very nature of its inhabitants, makes it both extremely interesting and lively for the visitor. Among the city’s main top-ranking cultural assets are the Picasso Museum, the Joan Miró and Antoni Tàpies Foundations, the MNAC (National Art Museum of Catalonia), the “Palau de la Musica”, the Opera House the “Liceu” among others. Barcelona also offers five kilometres of beaches. The chosen time for the congress also allows planning a short holiday at the nearby “Costa Brava” with its Dali’s Museum in Figueres or the restaurant “El Bulli” near Roses. We look forward to welcome you all in Barcelona 2011 and we hope to succeed in making you feel at home. For any questions, inconveniences or suggestions you may have, please feel free to contact me directly or the congress secretariat.